Matt Rowlinson in his Volvo 242 GT. Photos: Supplied. 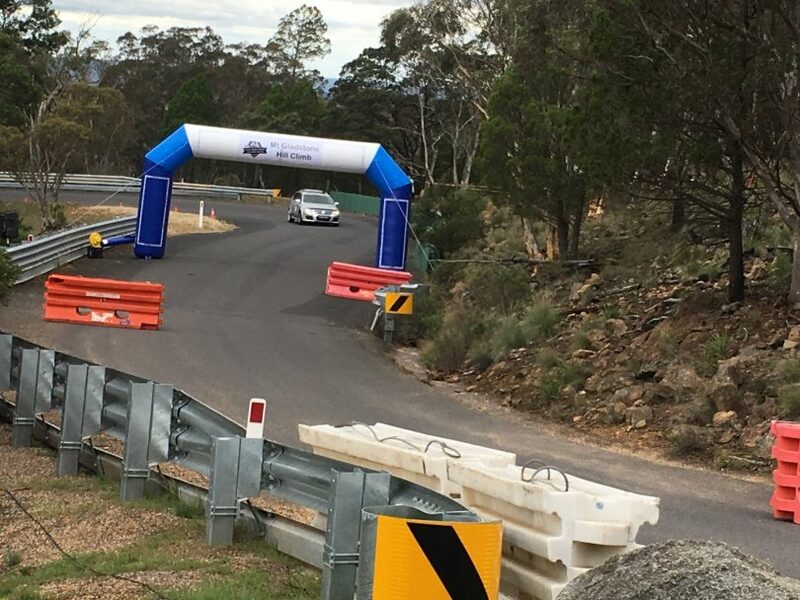 A rising air temperature and warm track made for some very close racing at Sunday’s Mount Gladstone Hill Climb in Cooma. 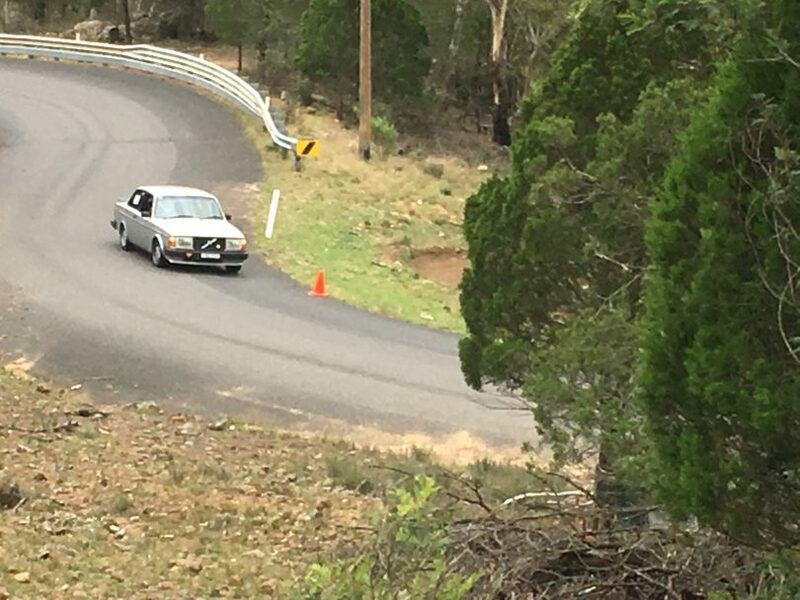 Cooma Car Club reports steadily improving times over the day with organisers able to accommodate a total of six runs of the one-kilometre track for most drivers despite two track incidents. 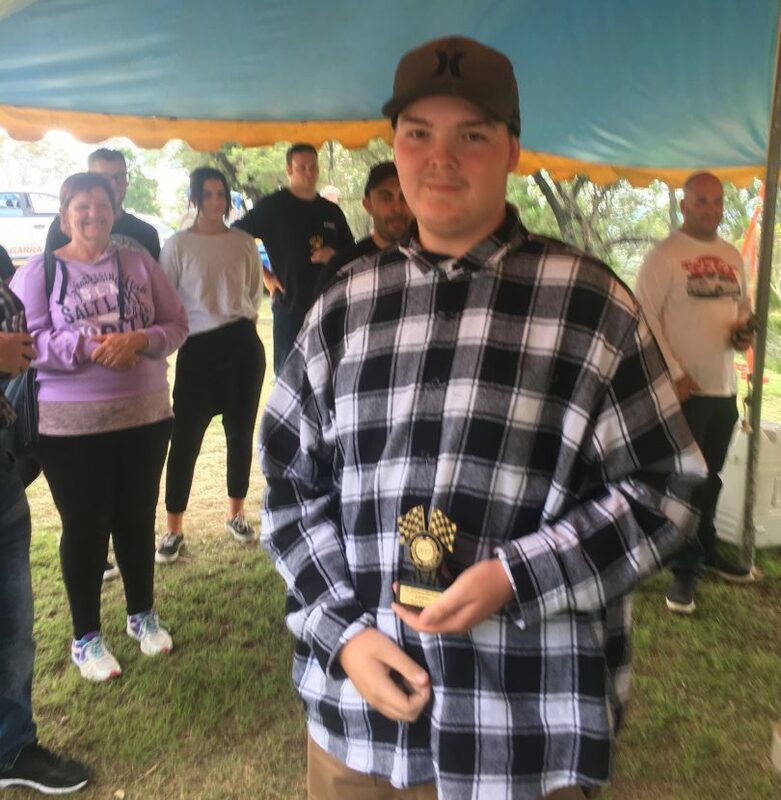 In the Juniors (under 18) Jakson Brown-Flack whipped 10 seconds off his track time over the day, recording a best of 62.65s in a Type 1-2 under 2000cc Subaru Liberty. Jakson Brown-Flack, the fastest junior of the day. In the Type 1-2 AWD over 3000cc class, regular driver David Wicks had a very close contest with first-time contestant David Palummo. Palummo got ahead in the last two runs and recorded a best time of 46.92s to Wicks’ best of 47.45s. With a total of seven entrants, the Type 3 AWD class was the most closely contested. The fastest time swapped back and forth between Gareth Rees in his Nissan Skyline and 18-year old Nick Coote in his Subaru Impreza WRX, until the fourth run when Rees recorded his best and the fastest time of the day – 42.28s, compared with Coote’s best of 42.92s. Andreas Proesser finished a very credible third with a fastest time of 43.32s. Ben Hastings in his VW Passatt R36 as it approaches the finish line. 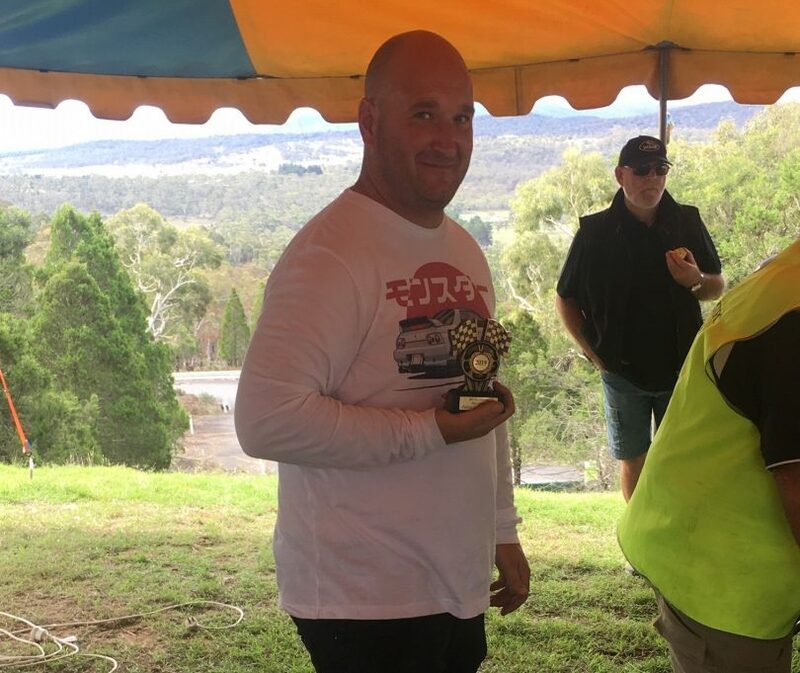 James Graham, all the way from Forster on the Central Coast, was fastest in the Type 4 0-1600cc class in his Hyundai Excel with a best of 53.45s, ahead of Nick Besestri in a temperamental Fiat X19 with a best of 54.26s. Graham was not the only driver to travel a substantial distance, with David Palummo getting up very early to drive from Leppington, Daniel Pauperis from Revesby, Simon Smith from Wolumla as well as seven drivers coming from the ACT. Ralph Pauperis started well in his historic MG TC Milano and recorded 54.97s for his second run. Unfortunately, the car lost a wheel on his third run and ground to a sudden halt. Thankfully the damage is not too great, and Pauperis says he will be back for the next Mount Gladstone Hill Climb on May 26. Gareth Rees, fastest time of the day. Fastest junior of the day” Jakson Brown-Flack, Subaru Liberty 62.65s. Stay up to date with Cooma Car Club events via their Facebook page.